It is the end of an era. The man we affectionately refer to as the Pig, retires from the game as the greatest Fantasy player of all time. As an AFL Fantasy coach, we grow some strong bonds with our ‘imaginary’ players as they run around scoring points for us every weekend. There is no player who has played more games and scored more points for the Warne Dawgs than Dane Swan. I’m not Robinson Crusoe here. Swanny would have to be the most well-liked Fantasy player of all-time. Not just because of his outside of the norm character, but because he pumped out epic Fantasy scores like no-ones business. He’s the best we have ever seen – the GOAT – but as we titled him all of those years ago, the Pig. Swanny is the original Fantasy pig. No man has done what he has done in their career and we are blessed to have been able to watch him collect a swag of Fantasy points week in, week out. It took a little while for the Pig to get going in his career. He managed three games in his first season (2003), scoring 24, 46 and 20. His second year he tallied 13 games with a top score of 86, but nine of them were less than 70. He broke through in his third season, scoring his first Fantasy ton against Sydney at ANZ Stadium in round 13 of 2005. He had 29 disposals, eight marks and two tackles for 106 points. That was his only triple figure score for the year. The following season, Swanny pumped out his first 100+ average with 101.9 from 20 games. This included 138 in round one and a further 12 tons for 2006. Then in 2007/2008, he averaged 101.5 and 102.5 to be one of the premium scorers for the year. A decade ago, there were less than 10 players who averaged a ton in any given season (heading into round 23, there are 34 players averaging more than 100). Then the big fella went bang. We started referring to Swanny as a Pig in 2010 when he was consistently pumping out these scores. An average like this was astronomical. Well, to be sustained anyway. In 36 of his 44 home-and-away games in 2009-2010 he registered a ton (a special mention needs to go to what he did for the Pies during the 2010 finals series where he averaged 146.3 points). Of those 36 home-and-away tons, 25 of them were 120+. Following on from their premiership winning year, Swanny picked up the 2011 Brownlow. That season he notched up an average of 120.9 from 21 games. This was the year he had his infamous fat camp with some other Pies who were battling a form slump (and injury) in Arizona. It must have worked. Swan came back scoring 125, 130 and 148 and went on to average 128.5 for the second half of the year. 2012 was the season that will go down in folklore as possibly the greatest ever. The Bombers in 2000 dropped one game before winning the flag in what was up there with the best single season from a team in the game. Swanny’s 2012 was similar. In the 21 games he played (18 H&A, 3 finals), he dropped below 100 once. Yes, once. Oh, and that was with a 95. Now this was the season that Swanny copped criticism early on for being ‘fat’ and ‘unfit’. In the Anzac Day game, the Pig feasted on the Bombers racking up 42 disposals, six marks, six tackles and booted three goals. He notched up 171 Fantasy points and the medal was put around his neck. He rubbed his belly. Most thought it was around his weight issues. I like to think it was about how full the Pig was after eating up so many points. 171. What a beast. The season wasn’t all sh*ts and giggles, despite that 133.5 average. He suffered a hamstring injury that kept him out of two matches, but in true Swanny form, he returned with a score of 142 on Queens Birthday. Later in the season – and much to the disgust of his coaches – Swan was suspended by the club for breaking the pledge by the playing group to stay off the grog. He missed the round 20 and 21 games. Yes, this was the first two weeks of the Fantasy finals. For those who held him (or traded him back in with the limited trades we had back then), were rewarded with a handy 119 in the preliminary final but it was the Grand Final weekend (round 23) when he took on the Bombers and knocked out the biggest score of his career, 187. Piggery, pure piggery. And hey, he was my captain that weekend! It was going to be hard to back up that massive average and many coaches decided not to start him due to price. It was huge and he was always destined to drop in value. 2013 saw Swanny start with seven tons on the trot, but was affordable fairly early on and was once again one of the most popular players for the year. Only five scores under 100 saw him still average 117.5. Swan had 12 scores of 120 or more, including two 163s. It’d be nice to ignore 2014. Swanny described it as putrid. Although not awful, his average of 93.7 was his lowest since 2006. He missed some games through injury and had an interrupted pre-season following wrist surgery (do you remember the pics on social media?). The positive from this was that the amount of time he spent forward. A lot of coaches will remember Swanny’s four goals against Essendon on Anzac Day when he collected his second Anzac Day medal. That time in the forward line in 2015 resulted in a gift from the Fantasy Gods – well, maybe the team at Champion Data. Swan was named as a FWD/MID. Coupled with his lowest average in nine seasons, Swanny was a lock in our forward lines. Some got a little pretty and didn’t start him. An average of 110 was an epic bounce back from that ‘putrid’ year that saw him average 30 points less than his PB. Swan played 21 games in his penultimate season. On fire early in round 22 – the Fantasy preliminary final – Swan injured his knee and was subbed off at half time on 63 points. Swanny’s 2015 season was great. The Pig was in fine form and running back through the midfield. This year he was named as a MID only, but from all reports coming out of the club – and Swanny’s mouth on our podcast – he was likely to be playing a half-forward role and would have probably gained FWD status at round six. Plenty of coaches drafted him early hoping for this change, while most were going to wait it out in the traditional salary cap format of Fantasy. It was just a few minutes into round one and Dane Swan fell awkwardly in a contest on the SCG, breaking his foot in three places. It was soon discovered to be a season ending injury. Ultimately, it ended his career. That last game in Sydney was a sad way for the greatest Fantasy player of all time to go out, however we can draw an interesting comparison to another Australian sporting champion. Donald Bradman’s last innings was a two-ball duck. Dane Swan didn’t register a stat in his last game and his last Fantasy score was a donut. It’s almost fitting that the greatest cricketer of all-time and the greatest Fantasy player of all time, who were both renowned for their tons, finished their career with a zero. Swanny will be remembered for a lot of things over his career. The 2010 Premiership, the Brownlow… the almost Brownlow when he was dressed up as Superman and looking like he was a chance for Charlie despite not being invited to the count… his sense of humour and the fact he didn’t fit the mould of a traditional footballer. He was a breath of fresh air in a game that has a lot of robots. But for the hundreds of thousands of coaches who owned him in AFL Fantasy, he was more than any of that. Swanny is our beloved Pig. There was no better feeling than watching him in pig-mode hunting the pill and racking up monster scores as our perma-captain. Swanny, we will miss you! The Fantasy Hall of Fame is now officially open and as the original pig, you are the first member… complete with Legend Status and a medal named after you. From 2016 onward, the best Fantasy player of the season will be awarded the “Swanny”. We might have to get a few made up for you retrospectively. Nice article Warnie, brilliant “set and forget” captain. Being a Pie supporter made it that much better. Thanks for the article Warnie. Well played. Thanks for the memories Dane. We’ll miss ya. 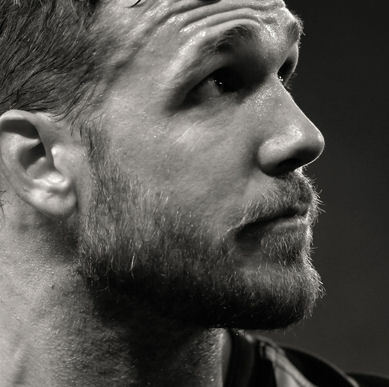 Great article for a great footballer – thank you. Swanny had a stellar career. It is fitting indeed to have a “Swanny” award. Yes, Daz, being a Pie supporter does make it that much better! Warnie, is this your best ever article???? Thanks for a great summary of a legendary fantasy career xxxxxx, no, THE legendary fantasy career. Great memories of a great player. Even as a Bombers fan like yourself Warnie, I cant help but just admire and respect the Pig feast on points while carving us up! I hope we see another Pig rise up in our lifetime! It used to be fun watching Collingwood games and having Dane Swan in my Fantasy team. Everytime he touched the ball I would call “Swannieeeee” and fist pump the air. Even the missus started doing it and she doesn’t even play AFL Fantasy. Absolute legend. Thanks for everything Swanny. Will miss your +6s. Sensational write up Warnie, I feel your passion coming through. He was indeed the original and so far the best Pig in fantasy land. We all marvel at Rocky and Danger going large but Swanny did it week after week, year after year. Funny video too boys. Swanny you will be missed. Warnie your writing took me back to many of those moments. Great article and tribute to a legend across the board. Excellent write up and a fitting tribute to the GOAT. Those were the best DT years. Am I reading it correctly that round 3 versus Fremantle in the 2012 graphic, you have 209 marked down for his score? Thanks for the pick up. Fixed. I started playing dreamteam around the 2011 season, and didn’t know much about fantasy then, and to this day still regret watching those years (2011-13) go by not being able to afford to bring Swan into any of my teams. I also started playing afl fantasy footy around the time Swanny caught fire…remember a great couple of years where the debates with mates was who was better Swanny or GAJ as they just dominated…Being a pies fan I always had the working class hero…what a legend….Bloody hell I’ve been watching AFL/VFL for 40 years and have never been so down about the retirement of a player or how the end came about…. perhaps we should start another list – called the “can’t ever again” list. For career average, he’s only shaded by Rocky, with DePendlebury coming up 3rd, followed by Jelwood and Barlow as the only players with an average over 100. Dead set great guy and also a handy footballer. We will miss you DS36. Absolute legend of the game, we will miss ya swanny. Awesome article Warnie. Sad to see the original pig go. Is his current BE of 204 the highest ever?